Overalls and apron dresses have made their way down the catwalks in recent seasons, but for Spring 2016, criss crossed straps are the latest version of the pinafore trend. 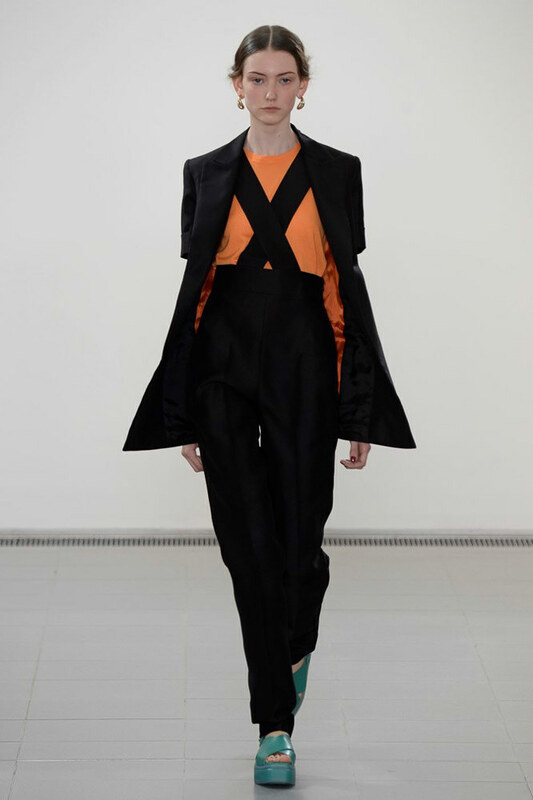 Numero 21 picked up on the trend with their take on schoolgirl chic. 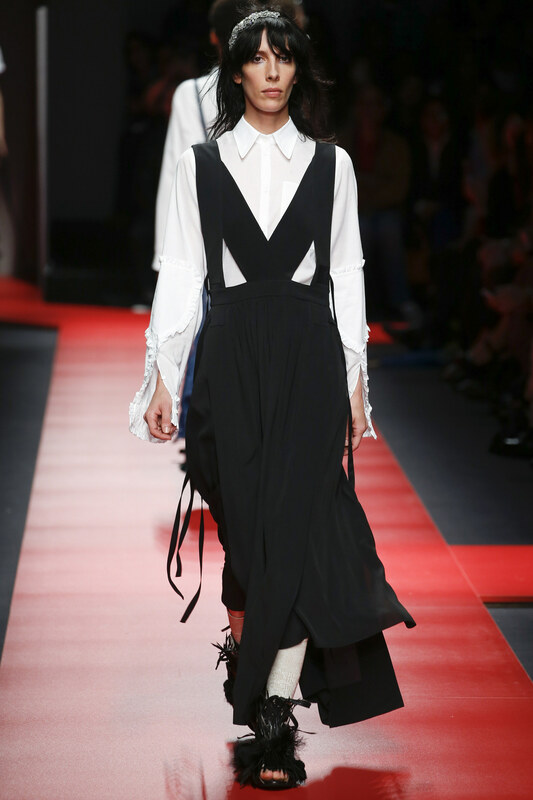 The black pinafore is layered over the soft white shirt. At Philosophy, Lorenzo Serafini crossed his traditional suspenders in the front, and added a cropped top with Victorian frills for a feminine touch. Simone Rocha kept it sweet and simple, crossing lace straps over a demure dress. 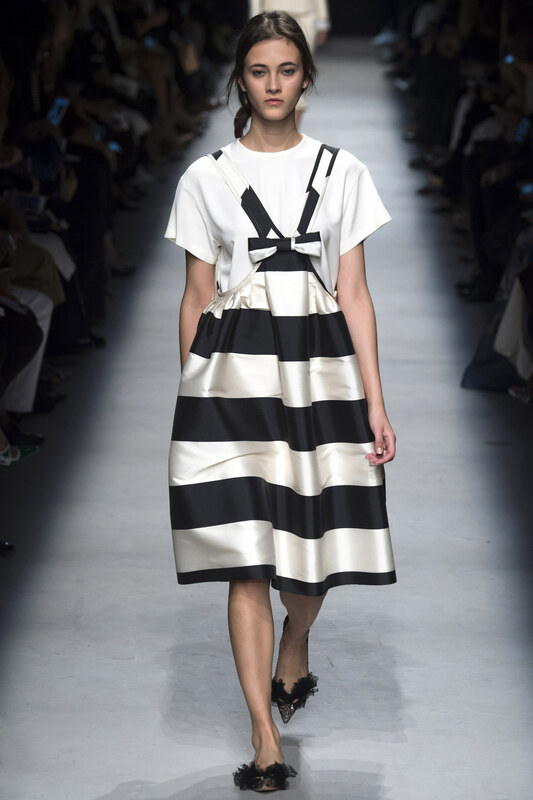 In Paris, Rochas added a dirndle skirt and a bow to his strapped jumper in a broad navy stripe. This entry was posted on October 2, 2015 at 6:59 am and is filed under fashion. You can follow any responses to this entry through the RSS 2.0 feed. You can leave a response, or trackback from your own site.